December is here again! Yay! I bet busy moms like you are now pre-occupied with a lot of things – gifts, foods to prepare, family gatherings, vacations and a whole lot more. Kaya pa ba, bes? LOL! OK, frankly speaking though, with the holidays coming up, it’s not new that there are things we might compromise like doing the regular household chores, skipping a few “me time” to make way for holiday shopping. Gosh, some of us might even forget our bills’ due dates! haha. Times like this, we can all agree that it’s not easy to keep everything in order, especially our kitchen. I guess the question should be, “do we still have time to keep our kitchen tidy?” The answer is YES! 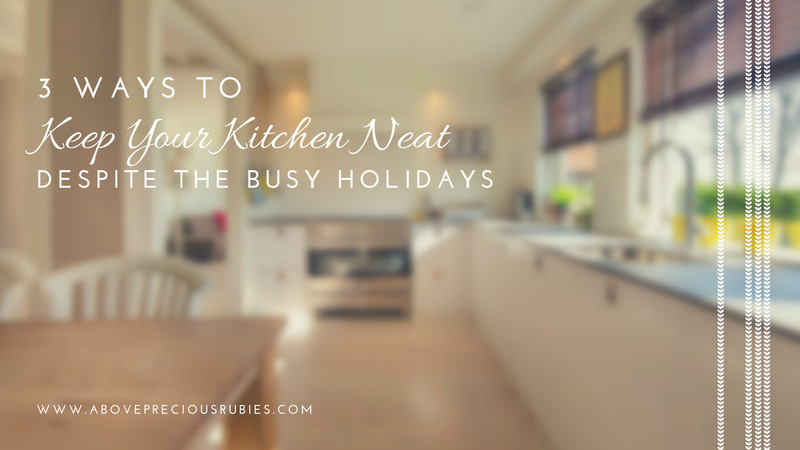 With the kitchen as the heart of our home this holiday, it is important that we still do our best to keep it organized, despite the super-duper-mega busy holiday season. Keeping the house neat is not just a mom’s job. Keep everyone in the household a part of it. Perhaps hubby can help with either the garbage, vacuuming or the laundry. The kids can also help cleaning the floor, doing the dishes or cleaning the table after each meal. There are many tasks you can assign to the other members of the family – don’t do all the work. Before you’re all-glued up in the kitchen doing all the cooking (yes, mapapako ka sa kusina sa paghahanda ng pagkain, bes), reevaluate your kitchen. You still have time to do it – check it out. Parang engineer lang na nag oobserve ng work sa field ‘yan. Take a look at your kitchen and decide which of the things in there are less or not needed at all for the holiday. Meron ba? If yes, take them out first and put them in the storage room for now. That way you’ll have more space in the kitchen for the hectic holiday. When choosing kitchen towels and other sanitary materials, it’s imperative that we don’t just look at the price. We should also consider the durability and design. 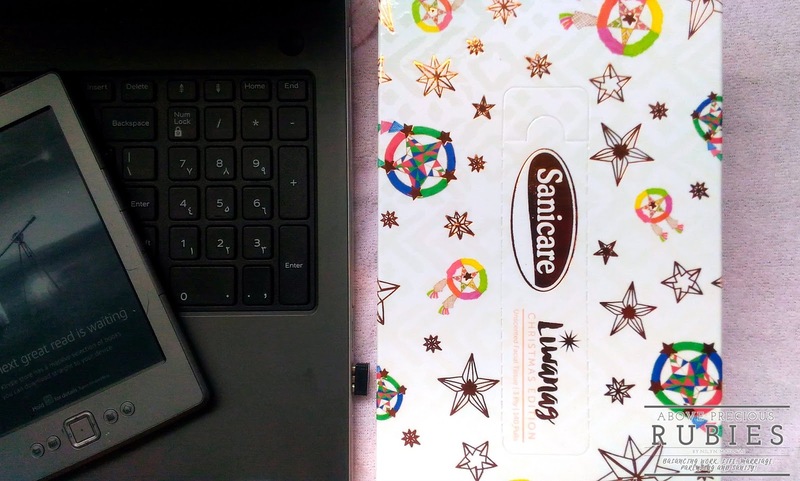 Sanicare answers that need because of its quality and product look. 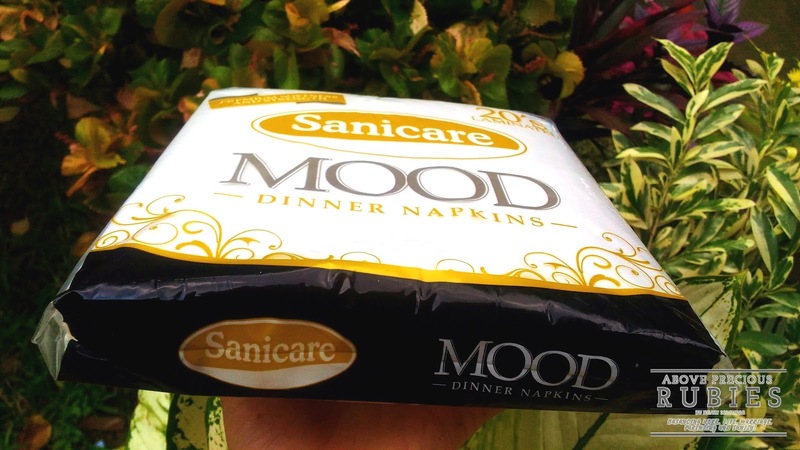 Did you know that Sanicare has its own Kitchen Hygiene line which is composed of Kitchen Towels, Lunch Napkins, and Mood Dinner Napkins? No? Now, you know, just kidding! Sanicare kitchen towels have moisture locking technology, making it very absorbent. The Mood Dinner napkins are known to be luxuriously strong but soft, making everyday meals extra special. ‘Di naman magpapahuli ang lunch napkins nila, which is known for its elegant borders with special embossed designs. 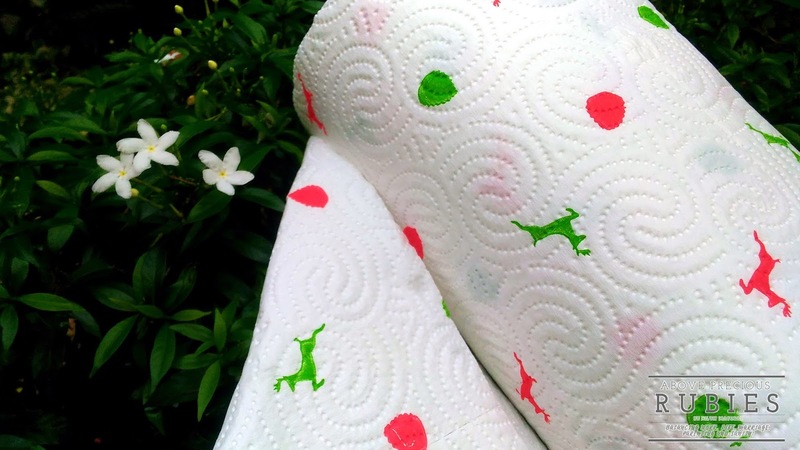 Speaking of looks and design which is very important not just for people but also for products, every year, Sanicare comes out with special Christmas prints for their Kitchen Towels. Take a look at this year’s festive Kitchen Towel designs, it’s so nice, nakakapanghinayang gamitin, lol! Sanicare Kitchen towel’s specially designed Christmas prints. 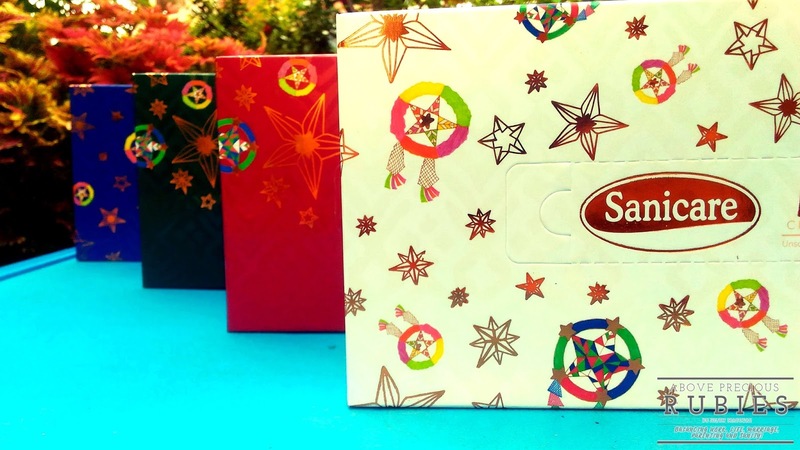 Sanicare is also releasing their specially designed boxes called Liwanag Christmas Boxes. The boxes were designed by the artist Alex Eduque, the founder of MovEd. These boxes are lovely and can certainly fit in your holiday theme at home! • Include a caption that starts with the phrase, “My Christmas is extra bright this year because ____!” and make sure to tag 3 of your friends. • As soon as you’re done, go back to the Sanicare PH Facebook promo post and click the link provided in order to submit the entry. Importante ‘to, sayang ang effort ‘pa ‘di ginawa ‘to. • The grand prize winner will be given four (4) all day passes to Dream Play and Lunch buffet for four (4) at The Café at the Hyatt City of Dreams Manila. Woot! • Not a grand prize, winner? No worries! 10 consolation prize winners will also be chosen to each receive a 2,000 peso Sodexo Gift Certificate from Sanicare. • The promo will run from November 22 to January 01, 2018. The deadline for submission is on January 01 at 6 pm. • The winners will be announced on January 15, 2018, on the Sanicare PH Facebook Page. I like their Christmas-themed tissue. Kaya lang, we won't be able to use it for Christmas coz we're not having Noche Buena here at home. For the first time ever, we'll be eating out because 4 lang kami sa bahay this year with two being little boys so nakakatamad na magluto. Sanicare's Christmas are so festive and colorful. I love the designs. I also buy Sanicare kitchen towels and bathroom tissues. Matibay at matipid. Ang cute no? Hanggang ngayon gamit namin, hehe. True! Matibay at matipid talaga.